Please select a year to complete your search. Date Range Month January February March April May June July August September October November December Year * 2017 2018 2019 Please select a year to complete your search. We support the year-long National History Day competition as an exciting way for students to study and learn about historical issues, ideas, people and events at our locations around the country and online! The National Archives is the nation’s record keeper. We hold billions of primary sources. Many can be incorporated into NHD research and projects. Visit the National Archives web page for National History Day to get started! Contact us if you need help. The seven vessels on display were created by the Georgia-based artists Matt and Philip Moulthrop through a unique collaboration with the Embassy of Panama. 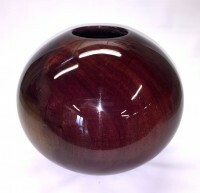 The works are part of a series of twenty-five turned-wood vessels made from wood submerged during the construction of the Bayano Dam in 1976. The dam is the second-largest power source in Panama. Working with the company Wooderra, The Embassy of Panama coordinated the donation of the submerged timber and facilitated this cultural partnership in which the work of American artists highlights the natural beauty of Panama’s flora. The Carter Library was picked for the exhibit because of President Carter’s long relationship with Panama. In 1977, President Carter and General Omar Torrijos signed the Torrijos-Carter Treaties returning control of the Canal to Panama after 1999. 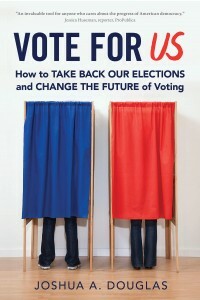 Panama was also the first country to have its elections monitored by The Carter Center. 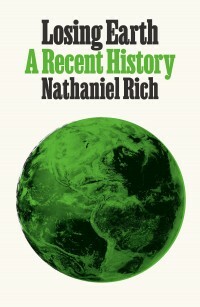 The New York Times Magazine devoted an entire issue to Nathaniel Rich’s investigation of the 10-year period from 1979 to 1989 when humankind first understood climate change and came close to solving it. Now a full-length book, “Losing Earth: A Recent History” is poised to become an instant classic: the most urgent story of our times, brilliantly re-framed, and beautifully told. Brought to you in part by Southface, the premier organization for sustainability in the Southeast, Rich will be in conversation with Andrea Pinabell. The event is free and open to the public, but in order to guarantee a seat, you must pre-order the book from A Cappella by purchasing a ticket here on the Freshtix Events site (convenience fee applies) or at the shop (no fee). The first 50 people who purchase a book/ticket are also invited to join us for a reception for Mr. Rich at Manuel’s Tavern from 5:30-6:30 on April 18. This film tells the story we learned of a stunning environmental tragedy place on a tiny atoll in the center of the vast North Pacific Ocean. 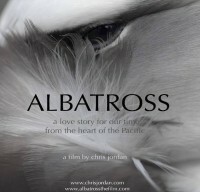 Thousands of young albatrosses lay dead on the ground, their stomachs filled with plastic. The experience is devastating, not only for what it meant for the suffering of the birds, but also for what it reflected back to us about the destructive power of our culture of mass consumption, and humanity’s damaged relationship with the living world. 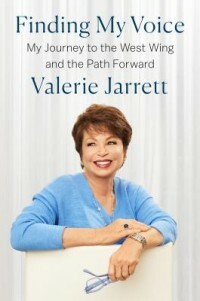 The Carter Library and Charis Books present Valerie Jarrett, the longest-serving senior adviser to President Obama, shares the story of her life and career in conversation with Stacey Abrams. Photographer Florence Mars was shocked by the ferocity of white Mississippians’ reaction to the Supreme Court’s 1954 ruling against racial segregation so she bought a camera, built a homemade darkroom, and began to take pictures, determined to document a racial order she knew was dying. 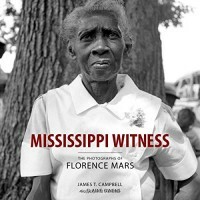 “Mississippi Witness” features over one hundred of these photographs, most taken in the decade between 1954 and 1964, almost all published here for the first time. The Carter Library and the American Friends of Sesobel present a free screening of the film Ghadi. 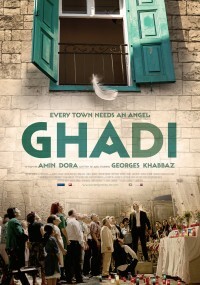 The clueless residents of a tiny Lebanese village begin to suspect there’s an angel in their midst in “Ghadi”, a gently barbed, sentimentally played social satire whose familiar tale of overcoming bigotry, pettiness and greed could work in just about any insular small-town context. 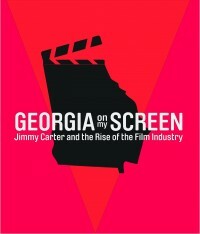 The Jimmy Carter Presidential Library and Museum presents an exciting new exhibition, Georgia on My Screen: Jimmy Carter and the Rise of the Film Industry. Beginning with then-Governor Jimmy Carter’s creation of the first state film office, the exhibition traces the development and impact of a multibillion-dollar industry in the state. The exhibition will open May 3rd and be on display through the end of the year. Created with the generous support of the Georgia Film, Music & Digital Entertainment Office, major production studios, local film offices and museums, the exhibition includes artifacts from over 60 productions, filmed over the last 46 years in Georgia, including critically-acclaimed films, blockbuster movies, and major television series. 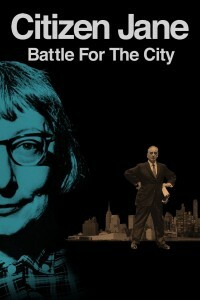 In 1960 Jane Jacobs’s book The Death and Life of Great American Cities sent shockwaves through the architecture and planning worlds, with its exploration of the consequences of modern planners’ and architects’ reconfiguration of cities. Jacobs was also an activist, who was involved in many fights in mid-century New York, to stop “master builder” Robert Moses from running roughshod over the city. This film retraces the battles for the city as personified by Jacobs and Moses, as urbanization moves to the very front of the global agenda. The Baton Foundation, Inc. and the Jimmy Carter Presidential Library and Museum will host a lecture and book signing about the Atlanta Public schools cheating scandal. The authors show how Atlanta Public Schools employees were collateral damage in a crisis caused by an education reform movement that is increasingly shaped by business interests. Americans spend more money on health than people anywhere else in the world. And what do they get for it? Statistically, not much. Americans today live shorter, less healthy lives than citizens of other rich countries, and these trends show no signs of letting up. 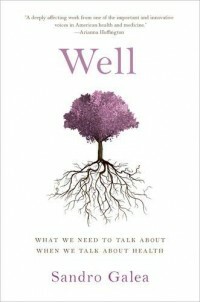 “Well” is a radical examination of the subtle and not-so-subtle factors that determine who gets to be healthy in America. Former President Jimmy Carter will be signing copies of his books “The Paintings of Jimmy Carter” or “The Craftsmanship of Jimmy Carter”. 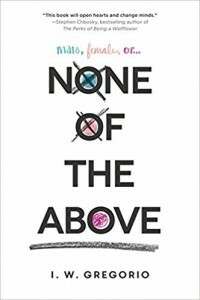 It’s very important that you review the guidelines for this special book signing event. Members of Friends of the Jimmy Carter Presidential Library will get priority in the signing line, as well as, a discount for the purchase of earlier books by President Carter. You can join “Friends” at the museum store. 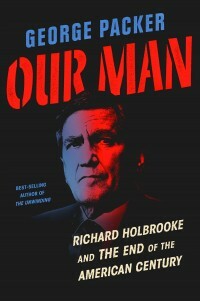 Richard Holbrooke was brilliant, utterly self-absorbed, and possessed of almost inhuman energy and appetites. Admired and detested, he was the force behind the Dayton Accords that ended the Balkan wars, America’s greatest diplomatic achievement in the post-Cold War era. In “Our Man”, drawn from Holbrooke’s diaries and papers, we are given a nonfiction narrative that is both intimate and epic in its revelatory portrait of this extraordinary and deeply flawed man and the elite spheres of society and government he inhabited. In the 1850s, the young Frederick Law Olmsted was adrift, a restless farmer and dreamer in search of a mission. He found it during an extraordinary journey, as an undercover correspondent in the South for the up-and-coming New York Times. 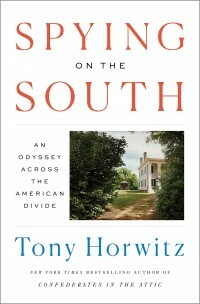 In “Spying on the South”, the best-selling author of “Confederates in the Attic” returns to the South and the Civil War era for an epic adventure on the trail of America’s greatest landscape architect. A 60 Minutes correspondent and former anchor of the CBS Evening News, Scott Pelley writes as a witness to events that changed our world. In moving, detailed prose, he stands with firefighters at the collapsing World Trade Center on 9/11, advances with American troops in combat in Afghanistan and Iraq, and reveals private moments with presidents (and would-be presidents) he’s known for decades. 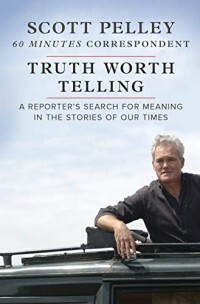 “Truth Worth Telling” offers a resounding defense of free speech and a free press as the rights that guarantee all others. 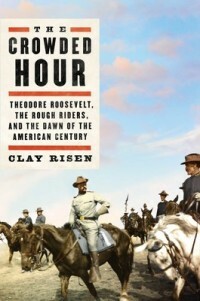 “The Crowded Hour” is the dramatic story of the most famous regiment in American history: the Rough Riders, a motley group of soldiers led by Theodore Roosevelt, whose daring exploits marked the beginning of American imperialism in the 20th century. In this brilliant, enlightening narrative, the Rough Riders—and a country on the brink of a new global dominance—are brought fully and gloriously to life. 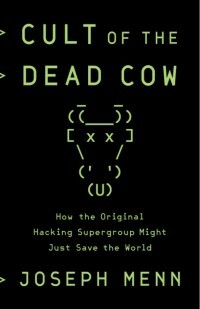 “Cult of the Dead Cow” is the tale of the oldest, most respected, and most famous American hacking group of all time. Though until now it has remained mostly anonymous, its members invented the concept of hacktivism, released the top tool for testing password security, and created what was for years the best technique for controlling computers from afar, forcing giant companies to work harder to protect customers. With its origins in the earliest days of the Internet, the “Cult of the Dead Cow” is full of oddball characters — activists, artists, and musicians — some of whom went on to advise presidents, cabinet members, and CEOs and now walk the corridors of power in Washington and Silicon Valley. “Cult of the Dead Cow” shows how governments, corporations, and criminals came to hold immense power over individuals and how we can fight back against them. They were teens when Barack Obama announced he was running for president. They came of age in the Obama Era. And then they joined his White House. Smart, motivated, ambitious–and ready to change the world. 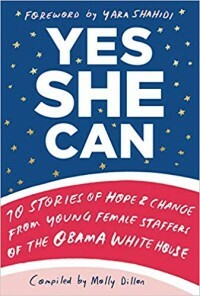 Here are ten inspiring, never-before-told stories from diverse young women who got stuff done. They recall–fondly and with humor and a dose of humility–what it was like to literally help run the world. The story of barbecue touches almost every aspect of our history. It involves indigenous culture, the colonial era, slavery, the Civil War, the settling of the West, the coming of immigrants, the Great Migration, the rise of the automobile, the expansion of suburbia, the rejiggering of gender roles. 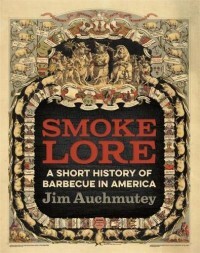 Jim Auchmutey follows the delicious and contentious history of barbecue in America from the ox roast that celebrated the groundbreaking for the U.S. Capitol building to the first barbecue launched into space almost two hundred years later.